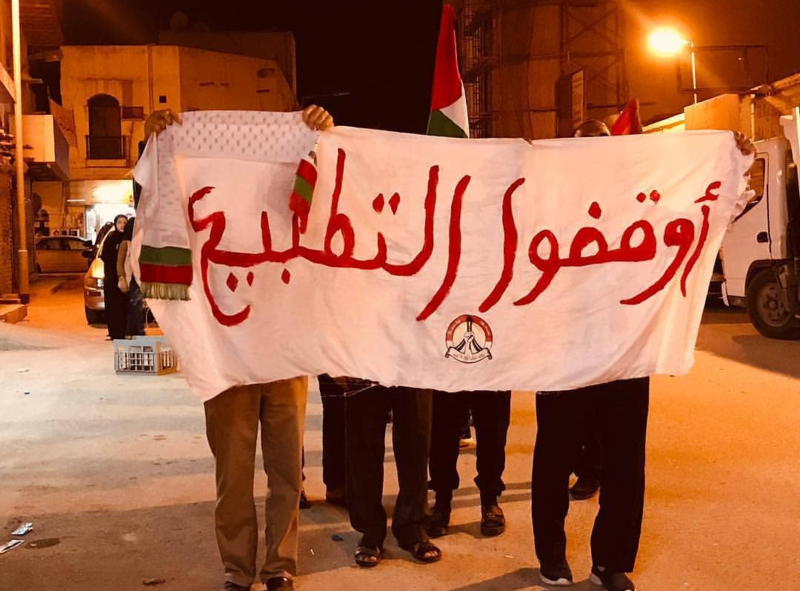 Under the slogan "Stop the crime of normalization", the resistance's people in the towns of al-Musla, Abu Saiba, Shakhoura,and Sanabis have took part in these revolutionary demonstrations, during which the demonstrators chanted slogans against normalization with the Zionist entity. They called for toppling al-Khalifa regime and its gang, and raised banners and burned the flag of the Zionist entity in the streets. Furthermore, a revolutionary demonstration took place in the town of Karababad in honor of the martyr Abdul Karim Farahrawi on the anniversary of his martyrdom under the title " Our martyrs are our pride".